Now that Vancouver real estate prices have reached dizzying heights, it’s become much less profitable for foreign buyers. While some people have credited the decline to the non-resident speculator tax, numbers obtained from the Ministry of Finance show they just shifted to the Vancouver suburb of Richmond. Richmond is still subject to the non-resident foreign buying tax, but is the only region in the province to post foreign buying numbers in the double digits. In May, Richmond had almost 3x the ratio of foreign buyers as Vancouver. So obviously the tax isn’t deterring buyers. There’s a lot of misinformation circulating about foreign buying in BC, and who’s subject to the tax – so we’ll clarify. Anyone that’s not a resident, PR holder, on a work or student visa is considered a non-resident buyer. We don’t have anonymous numbered corporations in Canada like the Bahamas and the Cayman Islands. Corporations with majority non-resident directors are considered foreign entities – which means they’re subject to the tax. Partial non-resident ownership of a home is required to pay the tax, so partnering with a local doesn’t work unless they’re blindly handing over the money to a local with no legal recourse. Any loophole would require collusion with local lawyers. If local lawyers are doing this at scale, BC has a bigger problem than foreign buyers. Note, I also discuss why the numbers from the province are lower than reality closer to the end. That said, here’s your breakdown of the BC government’s non-resident numbers. The region of BC with the most foreign buyers last month (and for the full year) is Richmond, British Columbia. May saw 67 sales go to non-resident buyers, representing 7.8% of all sales. Over the past year non-residents made 703 real estate transactions, representing 10.5% of all sales in the region. No wonder people have been calling it Canada’s Ghost City. 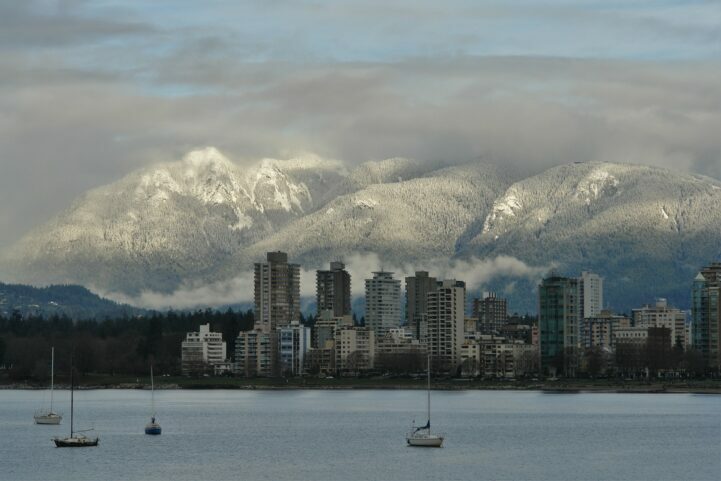 In second was the Vancouver suburb of Burnaby. May saw 32 sales to non-resident buyers, representing 5.4% of total sales. The full year saw non-residents complete 423 transactions over the past year, roughly 9.4% of all sales. Full year stats also place Burnaby in second for full-year numbers. There’s been a lot of talk about Victoria being popular with non-resident buyers, but it’s a much lower ratio than locals likely think. May saw 49 sales to non-resident buyers, representing 4.9% of total sales for the month. The past year saw 477 purchases from non-resident buyers, about 4.5% of total transactions. This places the City of Vancouver lower for the month of May, but still higher for the full year. The City of Vancouver, the region where the whole foreign buying debate started, has become a little less popular. May saw 36 transactions involving non-resident buyers, representing 2.7% of sales for the month. The full year saw 826 sales involving non-resident buyers, which is 6% of total sales. This places Vancouver fourth for the month of May, and third for full-year numbers. Further inland is the picturesque Kelowna, located in Okanagan Valley. May saw 8 transactions involving non-resident buyers, which is 1.8% of all transactions. The full year saw 149 non-resident transactions, which is 2.1% of total sales. Who doesn’t want a vacation home in wine country? In sixth is the Vancouver suburb of Surrey, which is a part of the Metro Vancouver region. May saw 17 sales to non-resident buyers, which was 1.2% for the month. The full year saw 495 sales to non-resident buyers, representing 3.5% of total transactions. Now for aggregate regions, starting with Metro Vancouver. May saw 199 non-resident transactions, which is 3% of total transactions for the month. The full year saw 3,349 non-resident transactions, which is 5.3% of total transactions for the region. Full-year numbers look slightly lower because there are a number of regions that have zero appeal to foreign buyers. The rest of the province, excluding Metro Vancouver is relatively low. May saw 195 transactions from non-resident buyers, which is 2.6% of all transactions. The full year saw 2,100 non-resident transactions, which is 2.8% of total transactions. Considering this includes Victoria and the Capital Region’s numbers, buying across the rest of the province is fairly insignificant. These numbers are based on property transfers, which fails to capture an important part of the influence of foreign money on home prices – condo presales. Condo pre-sale assignments are not subject to the foreign buying tax in BC until they register. Local developers have been offering big incentives for foreign buyers to buy at presale. If they’re selling in any significant quantity overseas to people that are engaging in “assignment flipping,” a.k.a. selling before the condo registers, foreign buyers could be adding a markup to condos. In China they addressed this by creating a mandatory lockup period in dense areas, ensuring that the owner has to hang on to the property for 5 to 10 years after the property registers (or pay a massive fine). Vancouver and Richmond in particular have a huge number of condo projects currently under construction (or being planned). If non-resident buyers are engaging in assignment flipping, you’ll see a number of pre-sales being sold on the MLS as resales any day now. If they aren’t, and they plan on holding the property through registration, we’ll see a bump up in the non-resident buying numbers – as old transactions start completing. That isn’t to say only non-resident buyers do assignment flipping (we’ve found locals that are flipping whole floors in some cities), but the numbers do fail to capture this. Why combine June and July sales figures into one unit?